Clarity is uniquely equipped to deploy your end-to-end communication. 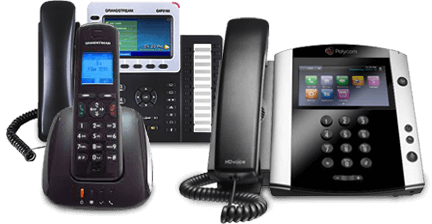 For the small, mid, large or enterprise company, VoIP voice technology reduces cost for equipment, unnecessary phone lines, IT manpower, and costly phone vendor maintenance and upgrades. With ClarityTel’s voice solutions, all of your organization’s voice traffic is integrated onto the ClarityTel cloud-based network. This gives you comfort that you are in good hands 24/7. By bypassing the need for an in-house PBX, your scalability possibilities are unlimited with the needs you can see today, and the things you can’t see for tomorrow. Let ClarityTel’s voice solutions team customize a system for your organization’s needs now and the future. Choose a new number anywhere in the US or Canada. Port your existing phone number from your current provider. Local and long distance calling in the USA, Canada and Puerto Rico are included in your plan rate. Configure and manage your VoIP service through an easy-to-use web interface. There's a free web phone built into every ClarityTel online dashboard. Free Softphone for IOS, Windows phone and Android mobile device for each user. Retrieve your voice messages from a single inbox. Receive notification of voicemail online, by email with or without file attachment, or via mobile device. Forward calls to multiple numbers that will ring in a designated sequence or ring all at the same time. Route calls to other numbers or voicemail depending user scheduling through the online dashboard. Know who is busy/on the phone within your company with lights on your ClarityTel phone. Press a single key to set your call flow to a night time setting. Complete with BLF notification. "Somebody pick up line 1." Add a second outgoing call to an already connected call. Or initiate a conference call for up to 6 callers. Know who’s calling before you answer to help identify important calls. Deny incoming calls by caller ID. Send out the caller ID number that you choose for each user account. Be notified when another caller is trying to reach you while you are on a call. Callers will be directed straight to voicemail when you don’t want to be disturbed. Park a call to have the call retrieved by another extension on the account. Put a call on hold while you answer another call. Initiate recording a single call with the touch of a button. Allows callers on hold to listen to system generated music or upload your own selections. Transfer calls to other phone numbers or extensions within your organization. Distribute calls from a single phone number or extension to multiple phone lines. Detailed call records by extension or account provided. Use your mobile device to place and return calls from your Clarity service and caller ID. Available via Google Play or Apple Store for Android and IOS systems. Callers see your business name when you call them by insertion into the line information database. Have your business inserted into the online white pages listing. Register your service to any address for emergency personnel to locate you.